Yeah. Honestly. It's insanely good. Drop the cleanse and it's still the best ship in the game by a mile. 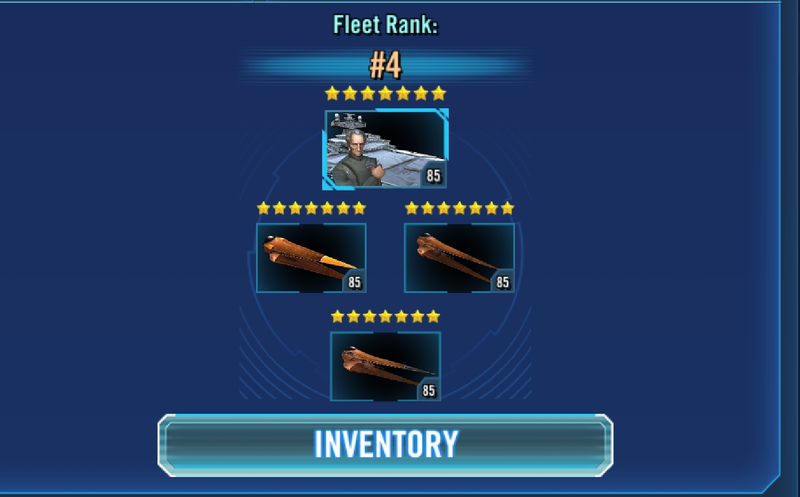 I quitted ships arena weeks ago when they made "Enfys nest but this time it's a ship" farmable and all the whales that already had revan immediately had it 7*. First you force me to farm and use geos, then thrawn-empire whales with 376 zetas invested in ships boohoo, so you make thrawn great again. Endless loop, will get back on it later. Usually there’s some kind of balance to new jazz, strengths and weaknesses. Falcon doesn’t appear to have any. Dispel its ‘cant be targeted buff’ and it has a ton of health...more than any other ship, I believe, and then gets to regenerate every turn. All the while assisting other ships. Crazy OP. Stick it alongside HT and it becomes near unkillable, aoe doesn’t do enough damage, and by the time you can target it, ht has taunt back up. Really not liking this addition. But, hey ho, CG have to cash grab somewhere, I just preferred it when they left the cash grabs to characters rather than ships. Fought it twice and won easily both times. Yeah most poeple did, at least by the time the last one became available. At that point it's just a hard focus. Unless you're a new player and weren't around for the Thrawn Legendary release then you know the precedence. It shouldn't take them telling you that those Old Republic characters that just became available to farm are going to be needed for an event coming soon. You just have to pick and choose which ones you want. If this ship is very powerful this is ok, it's the most iconic ship in the whole SW saga! (no, I didn't unlock it). I run a falcon, with 3 rebels around him, and I agree with one of the posters above. It is indeed great at offense, very easy to beat anyone. However, in my first overnight i dropped more than i have ever dropped with my bhs, so its definitely weak on defense which is a major issue. 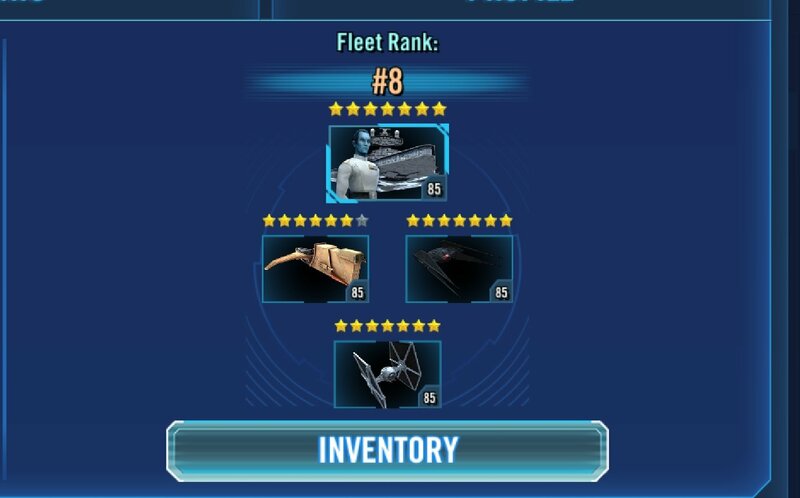 Using a 5* falcon but all my pilots including ackbar are g12 with 6 dot mods I can safely say Im unbeatable unless someone else also uses falcon. 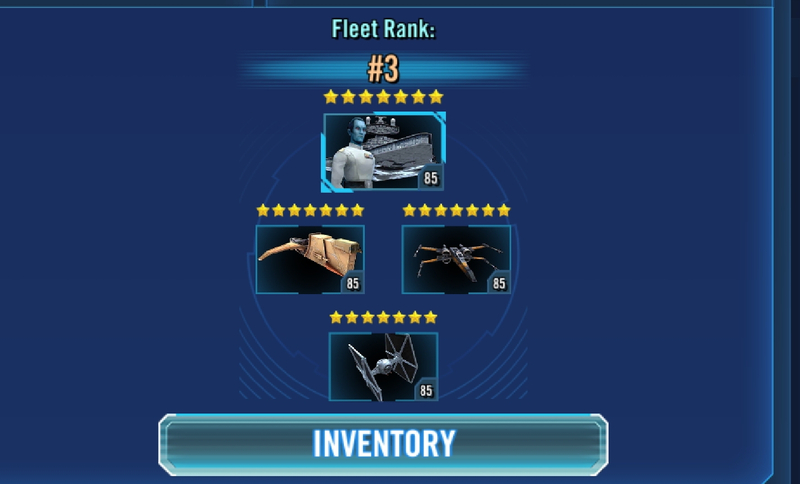 My 176 speed ackbar generally is one of the ships to go first and an aoe kills ghost in 1 shot from rebel assists. However with multiple testing attempts it seems the ai wants to reinforce biggs first instead of phantom so falcon v falcon users generally the attacker always wins (faster ackbar helps a ton). With ppl without falcon, you better get your fast ties to blow up ghost turn 1 such as tie fighter + fotf I didnt test if killing falcon turn 1 with ties is viable since i run tooth with tf and fotf but at 5* you can kill falcon before it gets the evasion buff if you crit. With thrawns heal dmg buff and debuff call in phantom and then another dps like vader, kill biggs since biggs is always the first reinforcement and pray your hound gets breach and taunts stay up cus falcon drops them a lot. 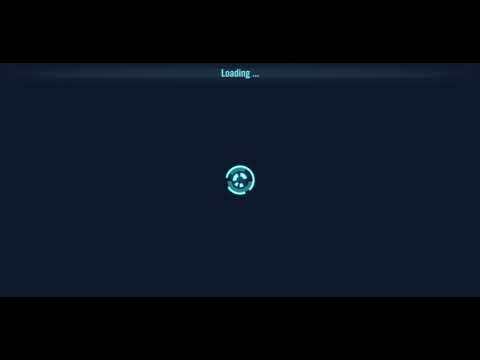 Unfortunately all my testing is with maxed pilots with g12 some g12+, zetas, and 6 dot mods. I've faced a couple different teams as well. Even maxed it's difficult, but not unbeatable. 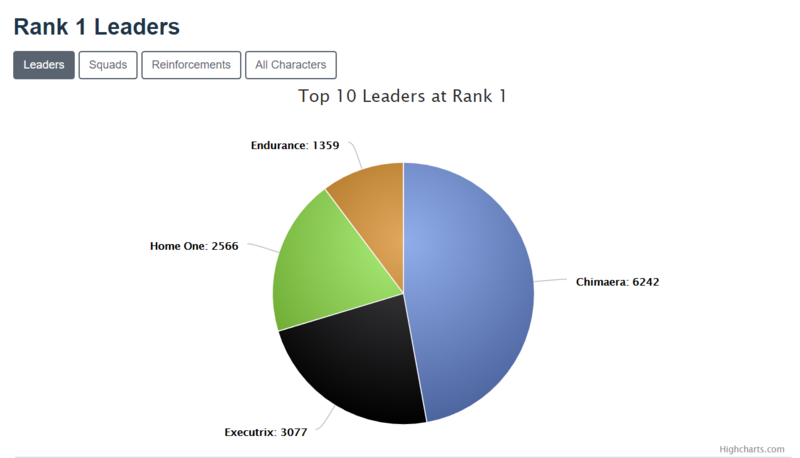 I've been seeing Ackbar lead with Falcon, HT, and Ghost. I believe the reinforcements were a mix of Vader, Phantom, Cassian, Bistan, and XB. Every time the Falcon was the last to go down.